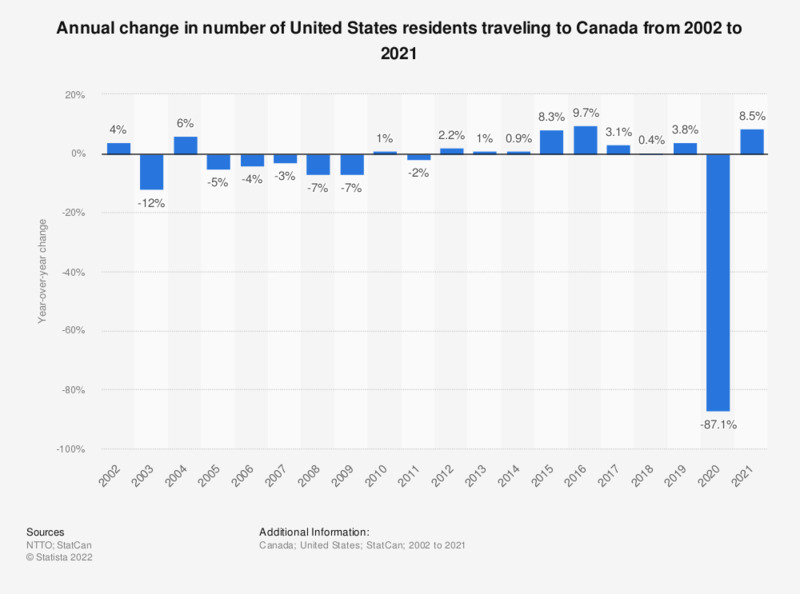 This statistic shows the annual change in number of United States residents traveling to Canada from 2002 to 2017. The number of U.S. citizens traveling to Canada increased by 3.1 percent in 2017 compared to the previous year. Everything On "Travel and Tourism in Canada" in One Document: Edited and Divided into Handy Chapters. Including Detailed References.